FIRST FLOOR APARTMENT with TWO BEDROOMS and BALCONY. It is located EQUIDISTANT from the SEA, AIRPORT and SKI. Good LOCK UP and LEAVE HOLIDAY HOME. There is the POSSIBILITY to buy a GARAGE and CELLAR. BEAUTIFUL, THREE BEDROOM, SEMI-DETACHED HOUSE which retains many TRADITIONAL FEATURES. It has recently been RESTORED and benefits from a PRIVATE COURTYARD and VIEWS. 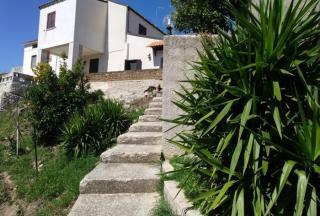 The property is CLOSE to the VILLAGE of ELICE and MIDWAY between the MOUNTAINS and ADRIATIC BEACHES. LARGE, HISTORICAL BUILDING which needs ATTENTION to RESTORE it to its former glory. It has a PRIVATE GARDEN and BALCONIES with VIEWS. It would CONVERT into either TWO or THREE INDEPENDENT APARTMENTS. GOOD POTENTIAL. THREE BEDROOM, DETACHED HOUSE which has recently been RESTORED. 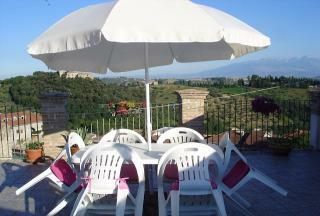 The property is in a TRANQUIL POSITION on the edge of CAPORCIANO, a PRETTY, HILLTOP VILLAGE. The house has a GARDEN, TERRACE and SPECTACULAR VIEWS. A good base for LOVERS of NATURE and OUTDOOR ACTIVITIES. 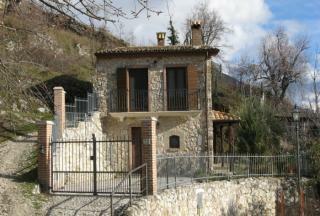 DELIGHTFUL, TWO BEDROOM, DETACHED HOUSE in the HISTORIC VILLAGE of ROCCACASALE. The house is RESTORED but the ORIGINAL CHARACTER has been MAINTAINED. The property benefits from a BALCONY, FENCED GARDEN and VIEWS whilst the town has CASTLE RUINS together with a few SHOPS, BARS and RESTAURANTS. 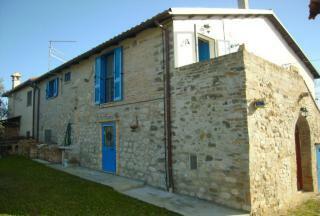 TWO BEDROOM, RESTORED FARMHOUSE with ORIGINAL FEATURES. The property comes with LOGGIA, COURTYARD, and GARDEN. MORE LAND is AVAILABLE to PURCHASE, if required. 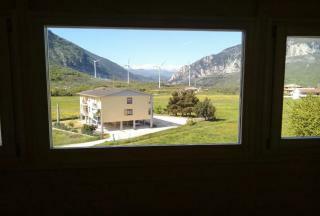 The property is in VERY GOOD CONDITION and comes with PANORAMIC VIEWS. FOUR BEDROOM, COUNTRY HOUSE which is STRUCTURALLY SOUND and only needs a LITTLE COSMETIC WORK/DECORATION to create a COMFORTABLE HOME. GREAT VIEWS! 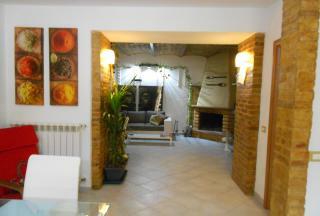 SPACIOUS, HOUSE in the PRETTY TOWN of SAN VITO CHIETINO. 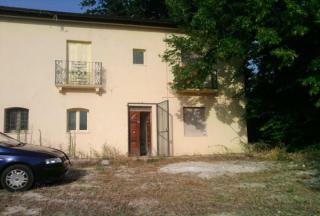 It has THREE BEDROOMS and needs RESTORATION to MEET MODERN STANDARDS. It BENEFITS from a TERRACE with PANORAMIC VIEWS of the SEA and MOUNTAINS. JUST a SHORT DRIVE to the TRABOCCHI COAST. 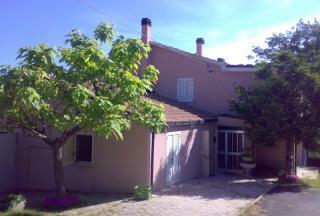 PRETTY, THREE BEDROOM, HOUSE near the VILLAGE of ARI. It comes with over ONE HECTARE of LAND cultivated with FRUIT TREES, The TWO TERRACES have BREATHTAKING MOUNTAIN VIEWS. 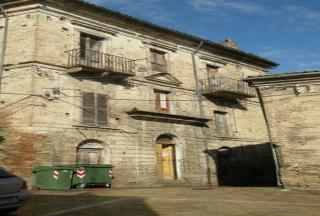 This is a RESTORATION PROJECT of a large property measuring 800 sq. metres. It is ideal for conversion into a SMALL HOTEL or other HOSPITALITY BUSINESS. NEW HOUSE which is CONSTRUCTED from WOOD and with CONSIDERATION for the ENVIRONMENT. It has TWO BEDROOMS, TWO BATHROOMS and GARDEN. The PHOTOVOTAIC and INSULATION SYSTEMS provide considerable ENERGY SAVINGS. There is also the POSSIBILITY to PURCHASE 1,800 SQM of ADJACENT BUILDING LAND. 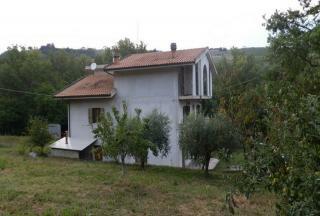 A typical RENOVATED FARMHOUSE in ARCHI with TWO BEDROOMS and a little plot of LAND. The property has a WIND TURBINE for the production of ELECTRICITY. 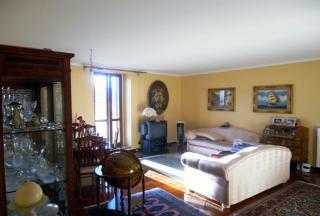 TWO BEDROOM, TOWNHOUSE in the centre of POLLUTRI, close to all AMENITIES and just 10 KM from the ADRIATIC COAST. 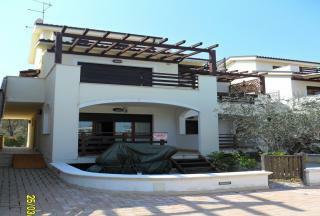 The property has a BALCONY and it is also possible to PURCHASE the FURNITURE. A great HOLIDAY HOME. A delightful SINGLE STOREY RESIDENCE with 3 BEDROOMS, GARAGE, TERRACE and GARDEN. It is located in SAN GIORGIO on the OUTSKIRTS of the historic hill town of CASTIGLIONE MESSER RAIMONDO. 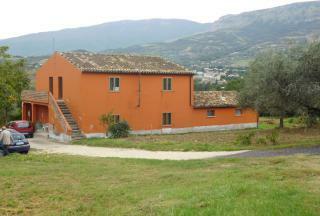 A SEMI-DETACHED HOUSE set in the IDYLLIC area of CARAMANICO TERME in the middle of the NATIONAL PARK. It has ONE BEDROOM and LARGE GARDEN. RECENTLY RESTORED, TWO BEDROOM, COUNTRY CHALET. It is on ONE LEVEL and has LOVELY MOUNTAIN VIEWS. The chalet comes with 1 HECTARE of LAND. PERFECT as a COMFORTABLE and ATTRACTIVE HOLIDAY HOME. 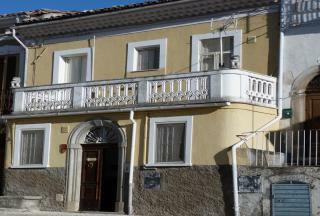 LARGE DETACHED HOUSE which is currently DIVIDED into TWO INDEPENDENT APARTMENTS. It is IMMEDIATELY HABITABLE and comes with a GARDEN and lovely VIEWS over the countryside. DETACHED HOUSE which is currently DIVIDED into TWO APARTMENTS. It is in a PANORAMIC and PEACEFUL LOCATION. 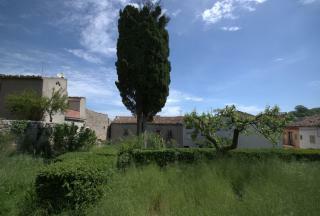 There are SEVERAL OUTBUILDINGS and a plot of AGRICULTURAL LAND cultivated with OLIVE TREES. POTENTIAL for some EXPANSION. THREE BEDROOM TOWNHOUSE which is LOCATED in the HISTORIC HEART of MOSCUFO, within WALKING DISTANCE of all AMENITIES. It has been RESTORED with all SERVICES CONNECTED. 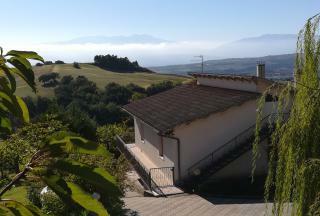 There is a VIEWING AREA close by with a lovely panorama of the MOUNTAINS, COUNTRYSIDE and COAST. PRICE NEGOTIABLE. A DELIGHTFUL property with THREE BEDROOMS, TWO BATHROOMS, COVERED PATIO and GARDEN. The house has been SYMPATHETICALLY RESTORED to maintain its BEAUTIFUL TRADITIONAL FEATURES. The price is NEGOTIABLE. LARGE, STONE HOUSE with an OPPORTUNITY to EXPAND. It currently has TWO BEDROOMS, TERRACE and VIEWS. It NEEDS MODERNISATION but with the UNUSED SPACE on the GROUND FLOOR and the TWO OUTBUILDINGS, there is much POTENTIAL to create a lovely HOME. 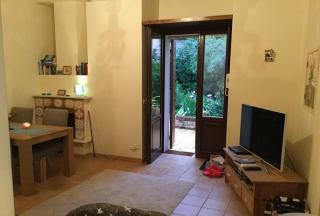 TWO BEDROOM APARTMENT which is located in CANTONE, just 3.5 KMS from the lovely TOWN of INTRODACQUA. It has been SYMPATHETICALLY RENOVATED and comes with GARAGE, BALCONIES and MOUNTAIN VIEWS. 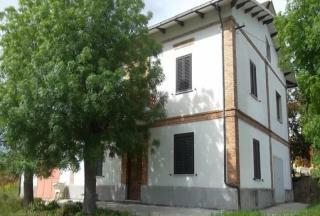 THREE BEDROOM, TOWNHOUSE on 4 LEVELS - 2 for STORAGE and 2 for LIVING in the HISTORIC and BEAUTIFUL VILLAGE of PACENTRO. It is IMMEDIATELY HABITABLE with BALCONIES and MOUNTAIN VIEWS. Possibility to CREATE TWO APARTMENTS. 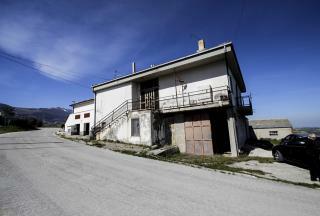 Ideal LOCATION within WALKING DISTANCE of FACILITIES and CLOSE to SULMONA. 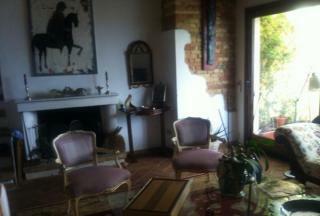 HISTORIC, FOUR BEDROOM, PALAZZETTO in the HEART of CRECCHIO. It is IMMENDIATELY HABITABLE and has a LARGE TERRACE which OVERLOOKS the BEAUTIFUL and CHARMING TOWN. An EXCELLENT OPPORTUNITY as it is a GREAT BARGAIN. 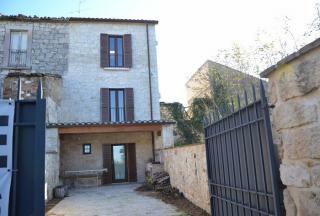 This beautiful and TOTALLY RESTORED, ancient TOWNHOUSE is located in the HISTORICAL CENTRE of CARAMANICO TERME. The property has TWO INTERCOMMUNICATING BEDROOMS, CELLAR and TERRACE. 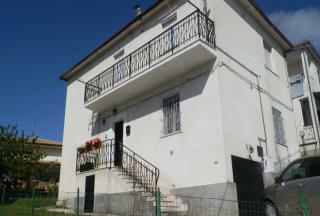 PRETTY, THREE BEDROOM, COUNTRY HOUSE located CLOSE to the VILLAGE of VESTEA. The property has a GARAGE, GARDEN, LAND and BALCONIES. It is possible to CREATE TWO INDEPENDENT or INTERCONNECTING APARTMENTS, if required. IMMEDIATELY HABITTABLE. 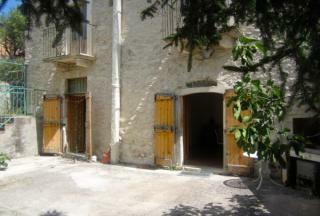 THREE PROPERTIES with a GARAGE and LAND, cultivated with OLIVE TREES. They are located just ONE KILOMETRE from the small VILLAGE of DURONIA. TWO HOUSES are HABITABLE and ONE still NEEDS COMPLETING. An OPPORTUNITY for STARTING a RENTAL BUSINESS. 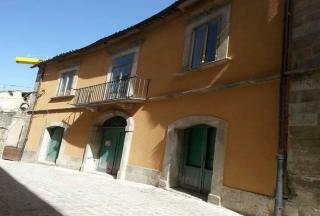 PARTIALLY RESTORED APARTMENT, located on the GROUND FLOOR of a NOBLE PALACE, in the HISTORIC CENTRE of LARINO. It has TWO BEDROOMS and BEAUTIFUL, TRADITIONAL FEATURES. 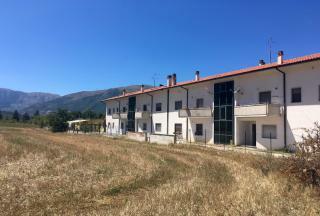 THREE BEDROOM FARMHOUSE located in the COUNTRYSIDE with great VIEWS and BALCONIES . It comes with 2,000 sq. metres of LAND and has various OUTBUILDINGS. It is in GOOD CONDITION. THREE BEDROOM, COUNTRY HOUSE with LAND. It is IMMEDIATELY HABITABLE and there is POTENTIAL to INCREASE LIVING SPACE. The property has BALCONIES and COUNTRY VIEWS. 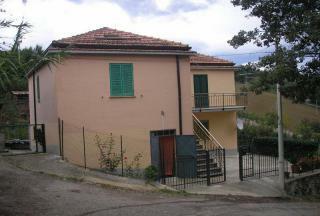 It is CLOSE to the BEAUTIFUL HILLTOP TOWN of PENNE with all its AMENITIES. GOOD PERMANENT RESIDENCE or B & B OPPORTUNITY. FULLY RESTORED, TWO BEDROOM, TOWNHOUSE in the HISTORIC TOWN of PACENTRO and within WALKING DISTANCE of RESTAURANTS, BARS and SHOPS. DATING BACK to the 14th CENTURY, the PROPERTY MAINTAINS CHARACTER FEATURES. Both BEDROOMS benefit from EN-SUITE BATHROOMS and MOUNTAIN VIEWS. VIEWING RECOMMENDED. 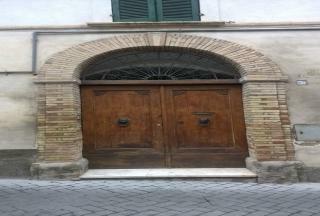 THREE BEDROOM, HOUSE close to the HISTORICAL CENTRE of PENNE with plenty of SHOPS, RESTAURANTS and BARS. It comes with a PANORAMIC BALCONY and COURTYARD. Ideal as a PERMANENT or HOLIDAY HOME. 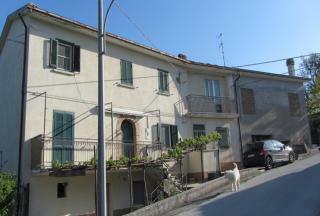 SPACIOUS, FOUR BEDROOM, HOUSE located in the PRETTY TOWN of CAPESTRANO. It is IMMEDIATELY HABITABLE and can sleep EIGHT PEOPLE. The house is RENOVATED to a HIGH STANDARD and BENEFITS from a SUNNY TERRACE which provides LOVELY VIEWS, perfect for ENJOYING a local GLASS of WINE and AL FRESCO DINING. 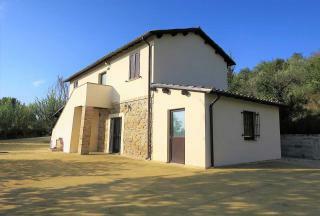 A FARMHOUSE located in a TRANQUIL position, not far from Arsita. It has SIXTEEN HECTARES of land. The main house has THREE BEDROOMS and there are also several OUTBUILDINGS. With RESTORATION the property could revert to a beautiful farmhouse with an opportunity of starting an HOSPITALITY BUSINESS. 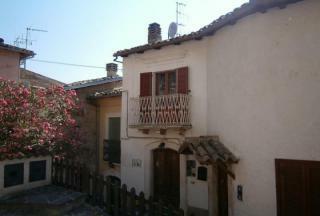 RUSTIC, TWO BEDROOM COTTAGE in the delightful VILLAGE of POLLUTRI, just a FEW MINUTES from the ADRIATIC COAST. The property has a GARDEN, GARAGE and VIEWS. It needs PARTIAL RENOVATION. 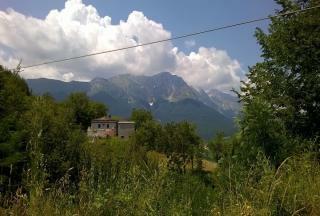 LAND for sale close to the town of Casalbordino. It is also possible to build a NEW HOME amongst the plot's VINEYARDS and OLIVE GROVES. LARGE TOWNHOUSE with a lovely ROOF TERRACE. It has SIX BEDROOMS, GARAGE and NEEDS MODERNISATION. Once restored the property has the POTENTIAL to become either a large FAMILY HOME or BED & BREAKFAST business. RESTORED, STONE HOUSE with TRADITIONAL FEATURES and PRIVATE COURTYARD for AL FRESCO LIVING. The property has THREE BEDROOMS and some of the FURNITURE is INCLUDED in the PRICE. It is within WALKING DISTANCE of SHOPS and RESTAURANTS. NEW, TWO BEDROOM APARTMENTS in the ADRIATIC RESORT town of MARTINSICURO within an EASY STROLL of the BEACH, SHOPS and RESTAURANTS. Perfect HOLIDAY HOME. 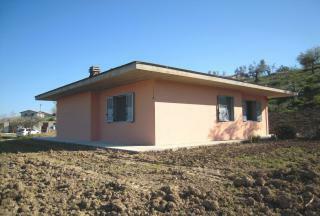 SINGLE STOREY, DETACHED HOUSE close to the VILLAGE of CELLINO ATTANASIO. The property is RECENTLY BUILT and has TWO BEDROOMS, PANORAMIC VIEWS and ONE HECTARE of LAND with OLIVE and FRUIT TREES. COUNTRYSIDE LOCATION and only 30 MINUTES to the COAST. 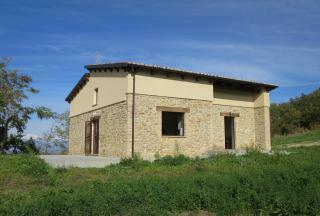 DETACHED HOUSE, located in the COUNTRYSIDE, just TWO KILOMETRES from the facilities of CIVITELLA CASANOVA. It needs some RESTORATION WORK but has TRADITIONAL FEATURES, including EXPOSED WOODEN BEAMS and TILES. 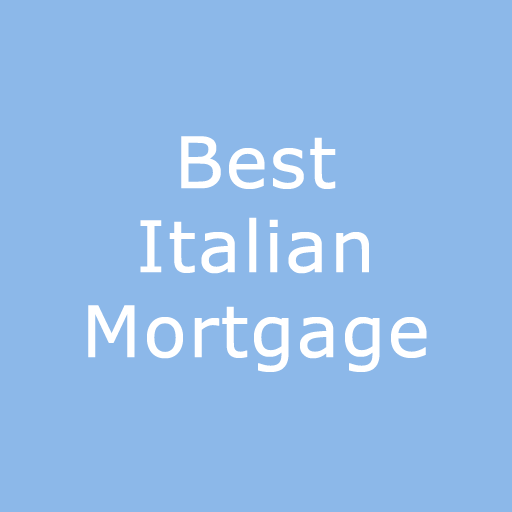 An EXCELLENT OPPORTUNITY to create a COMFORTABLE and BEAUTIFUL ITALIAN HOME. SEMI-DETACHED HOUSE which is DIVIDED into TWO SMALL APARTMENTS. 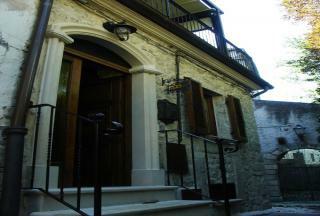 It is LOCATED in the HEART of COLLECORVINO within WALKING DISTANCE of SHOPS and BARS. The property comes with a GARDEN and ROOF TERRACE. It is RECENTLY RESTORED to a HIGH STANDARD and the BEAUTIFUL VAULTED CEILINGS have been EXPOSED. PARTIALLY, COMPLETED VILLA with FOUR BEDROOMS. It is close to the TOWN of ATESSA which BOASTS plenty of RESTAURANTS, SHOPS and BARS. The property comes with GARAGE, GARDEN, SMALL TERRACE and BEAUTIFUL MOUNTAIN VIEWS. A GREAT PROJECT enabling the new OWNER to CHOOSE, FIXTURES and FITTINGS. TWO BEDROOM, APARTMENT which is LOCATED in the HISTORICAL CENTRE of MUTINGANO just 6 KMS from the lovely BEACH of PINETO, It is LOW MAINTENTNACE and has TERRACES and a BALCONY from where you can take in the SEA VIEWS. The sales includes a GARAGE and SOME FURNITURE. IMMEDIATELY HABITABLE. TWO BEDROOM APARTMENT which has been completely RENOVATED. 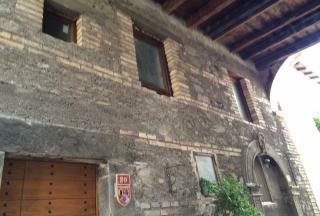 It is in the HISTORIC CENTRE of the delightful TOWN of SULMONA, close to SHOPS and RESTAURANTS. EXCELLENT BASE as a HOLIDAY or PERMANENT HOME. THREE BEDROOM, APARTMENT with ENCLOSED TERRACE. It is FIVE MINUTES from the HISTORIC VILLAGE of TOCCO DA CASAURIA and, is located in an EXCELLENT POSITION for LOVERS of OUTDOOR ACTIVITIES. The property is IMMEDIATELY HABITABLE and LOW MAINTENANCE. 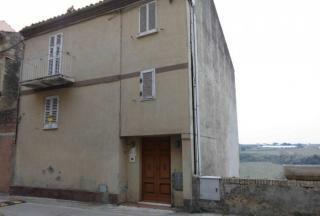 LOVELY, TWO BEDROOM TOWNHOUSE in the HISTORICAL CENTRE of PENNE. It is CLOSE to numerous SHOPS, BARS and RESTAURANTS. There is also an INDEPENDENT APARTMENT on the GROUND FLOOR. The property comes with a fabulous ROOF TERRACE with BEAUTIFUL VIEWS, perfect for RELAXING in the SUN. Recommended. 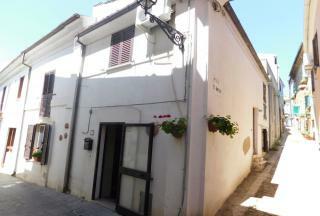 TWO BEDROOM, FULLY RESTORED, TOWNHOUSE located in the HISTORIC HEART of SPOLTORE close to SHOPS and RESTAURANTS. 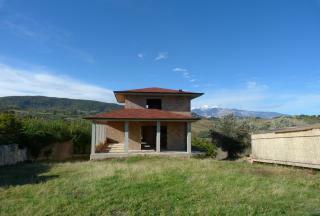 The property has MANY TRADITIONAL FEATURES and a TERRACE with MOUNTAIN VIEWS. 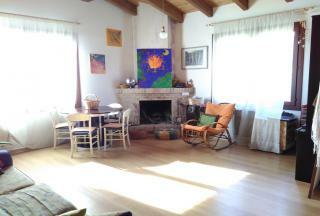 The house is CLOSE to the AIRPORT, PESCARA CITY and ADRIATIC COAST. 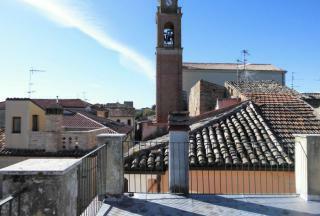 TWO BEDROOM TOWNHOUSE with TRADITIONAL FEATURES, located in the HEART of LORETO APRUTINO'S HISTORICAL CENTRE. It is within WALKING DISTANCE of the town's SHOPS, RESTAURANTS and MEDIEVAL ARCHITECTURE. It is also an EASY DRIVE to reach the AIRPORT, COAST and SKI RESORTS. 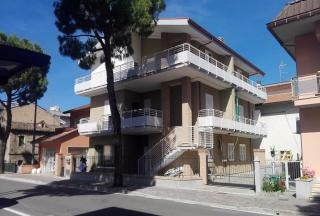 ONE BEDROOM, HOLIDAY APARTMENT within 150 METRES STROLLING DISTANCE of the fabulous BEACH of PINETO. It has TWO COVERED PATIOS, COURTYARD and COMMUNAL SWIMMING POOL. There is the possibility to PURCHASE a GARAGE or PARKING SPACE.